Gynura (Purple Passion) was originally discovered on the island of Java in Indonesia. 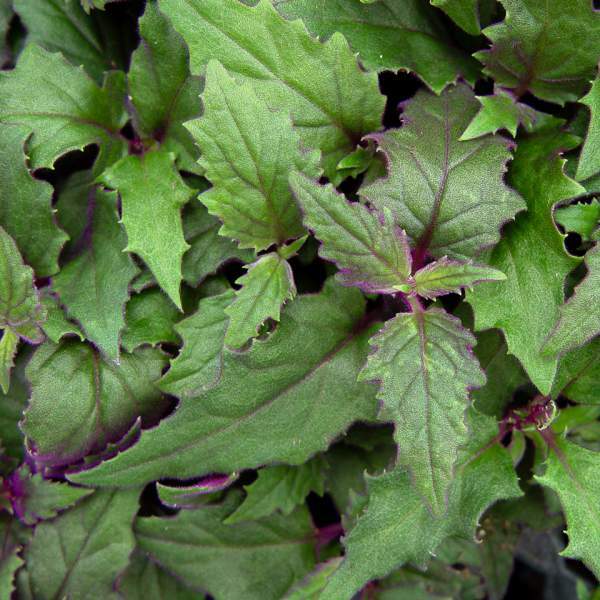 Its unique leaves sports fuzzy hairs that give it a purple glow, and its trailing habit makes it an excellent choice for combination pots or hanging baskets. The interesting foliage has kept Purple Passion in constant use as a houseplant for over 200 years despite the odor of its blossom. Leaves are typically 2 inches wide and 4 inches long. Gynura can also be used as annual bedding plants. For best results with Gynura, we recommend using a balanced fertilizer on a constant feed program of 200 ppm N. Maintain a pH between 5.5 - 6.0. We recommend that you pinch Gynura Purple Passion 5-10 days after transplanting to your final container. Additional trimming may be necessary for the final shape of the pot. Gynura should be spaced adequately to allow airflow and light penetration between the foliage. Usually 2’ centers on baskets will be enough. We do not recommend plant growth regulators for Gynura. Control growth through proper pinching and trimming. If you choose to use PGRs, the University of Florida’s studies show that Florel at 250 ppm was the most effective at producing saleable plants. Aphids are the primary pests attracted to Gynura. Gynura Purple Passion are not prone to many diseases, but watch for botrytis while the days are short. This grey rot is usually associated with wet or humid conditions. You can prevent botrytis by allowing the plant to dry out between waterings, allowing for good airflow in your greenhouse, and spacing to allow the sun to penetrate to the soil level. The most common chemicals used to treat botrytis are Medallion and Banrot. Use them as a drench according to each label’s instructions. We recommend planting 5 starter plants per 10 inch basket. Use a well-drained soil in your baskets and plant your starter plants deep, allowing the ellepot to be completely covered by the soil. If you are planting 4” pots, 3 plants per pot should be sufficient. Plant it directly in the middle of your pot. Pinch Gynura Purple Passion 5-10 days after transplanting to your final container. Additional pinches may be required to shape your final pot.